When we focus on road safety and especially safe driving we tend to focus on those driving behaviours which would reduce collisions and crashes. We tend to neglect the impact that our driving might have on our general physical health. We also need to focus on maintaining good health and reducing driving behaviour that might present a health risk. There are many considerations to keep in mind –including ways to stay out of harm's way on the road such as by protecting your skin from the sun and the threats of skin cancer. Medical research results have proven that skin cancer is indeed a risk to those who are involved in regular and prolonged driving! How dangerous is skin cancer? The National Cancer Institute in the USA says that in 2010 more than 68,000 people were diagnosed with melanoma, and 8,700 people died from the disease. New research now suggests that people in the USA are more likely to develop skin cancer, such as melanoma and merkel cell carcinoma, on the left arm and left side of the face. The study, published online in April by the Journal of the American Academy of Dermatology, provides the strongest evidence to date of a left-side bias in skin cancer cases in the USA. Driving may be to blame, because the left arm receives more UV, say researchers from the University of Washington in Seattle, who analyzed cancer cases in a government database. This study looked at nearly 85,000 cases of skin cancer. Researchers found that when skin cancer occurred on one side of the body, 52% of melanoma cases and 53% of merkel cell carcinomas were on the left side. On the upper arms, 55% of merkel cell cases developed on the left side. "This was greatest on the arm, and that pattern is exactly what you would expect from driving a car and the UV exposure you would get from that," said study author Dr. Paul Nghiem of the University of Washington. If you're one of the approximately 208 million licensed drivers in the US, take heed: "The increase in left-sided skin cancers may be from the UV (ultraviolet) exposure we get when driving a car," said Susan T. Butler, MD, co-author of the study. The sun's ultraviolet radiation is associated with most cases of skin cancer, which will affect one in five Americans over a lifetime. Other research supports the idea that sun exposure while driving can contribute to cancer. In countries such as South Africa, where people drive on the opposite side of the road, the right arm gets more sun exposure.  A 1986 study cited by the researchers found that Australian men were more likely to show precancerous growths on the right side of their bodies. Dr. Paul Nghiem of the University of Washington confirmed that they observed the opposite pattern with certain types of skin cancer in Australia, where driving is done on the left-hand side of the road. The same findings have been confirmed by skin specialists in South Africa. The database did not contain information on skin cancer patients' driving or other habits, such as whether they tended to ride with the window up or down. While left-side skin cancers are more common in men, Dr. Lisa Kellett, a dermatologist in Toronto, expects the pattern will change. "Now with more women drivers, I would suspect the gender gap will close, and we'll see high reports of left-sided skin cancers in women in the future," Dr. Lisa Kellett said. "Truckers would certainly be a group who would want to be aware of UV exposure while driving," says Kelly Paulson, a co-author of the University of Washington study. She adds that passengers in a vehicle for long periods of time should also be aware of sun exposure. A 2003 study on UV exposure in cars advised professional drivers to keep their windows rolled up and to use air conditioning. By keeping windows up, the study found that they could limit their yearly UV exposure from driving to the equivalent of a one-week skiing trip. Drivers' heads and necks receive the most UV exposure, so it's no surprise that medical researchers found over 82 percent of skin cancers on the patients' heads or necks. UV radiation reaches us in the form of shortwave UVB and long-wave UVA rays, but glass blocks only UVB effectively. Although car windshields are partially treated to filter out UVA, the side windows let in about 63 percent of the sun's UVA radiation; rear windows are also unprotected, leaving back seat passengers exposed. All motorists involved in regular and long distance driving should take heed of the advice from medical practitioners to protect themselves from the threats from the sun – especially so in sunny South Africa! Those active in the outdoors working environment such as road construction workers and farmers should take additional steps to protect themselves. We have emphasized the hazards – but what do we need to know about protection from the sun and how can we protect ourselves while driving? Car windows do offer some protection, blocking most UVB rays, an intense form of UV that often causes sunburns. "The reality is that any of the glass in the car will get out most of the bad UV," says study co-author Paul Nghiem. He adds that UVA rays, though less intense than UVB rays, penetrate glass and can still cause damage to the skin over time. Transparent window film screens out almost 100 percent of UVB and UVA without reducing visibility, and is available in South Africa. If you have window film installed, remember that it protects you only when the windows are closed. Dr Nghiem says that for most people who drive with their side window closed, there is no reason to apply sunscreen before driving. 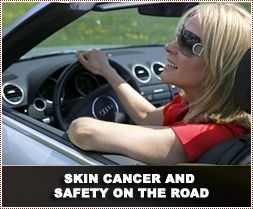 But for drivers prone to skin cancer who spend large amounts of time driving, wearing sunscreen is prudent. Sunlight accounts for one in 10 skin cancers on the arm. Dermatologists advise drivers to keep the window rolled up and wear long sleeves to prevent skin cancer. Dr Lisa Kellet recommends everyone, particularly children, apply a broad-spectrum sunscreen of at least SPF 30 every day, whether in the car or not. A sunscreen should be on hand for quick reapplication during long drives (The Skin Cancer Foundation recommends reapplying every two hours). Look for one with an SPF of 15+ and some combination of the following UVA-blocking ingredients: avobenzone, ecamsule, oxybenzone, titanium dioxide, and zinc oxide. A solid, closed roof remains your best solution. If you have a sunroof or a convertible top, wear a hat, preferably a wide-brimmed one. At the very least, be sure to apply sunscreen to exposed areas of the face, neck, and scalp where your hat may not be able to provide cover. Keep limbs inside the vehicle! The second most common area for skin cancers was the arm, so, in addition to applying sunscreen, avoid propping your elbow up on the open window while you drive. Keep both arms inside the car, and your hands on the wheel. Long-sleeved shirts are also a great sun-protective option. Along with the hat and sunscreen in your car also keep some UV-blocking sunglasses at hand for the road, and you'll have a sun protection travel kit to see you safely to your destination.